Okay, so two of my all time favorite things at Disney are 1) Special and unique experiences, and 2) FOOD!!!! There are so many opportunities for special experiences at Disney and there is amazing food where ever you turn! So today’s tip involves both! 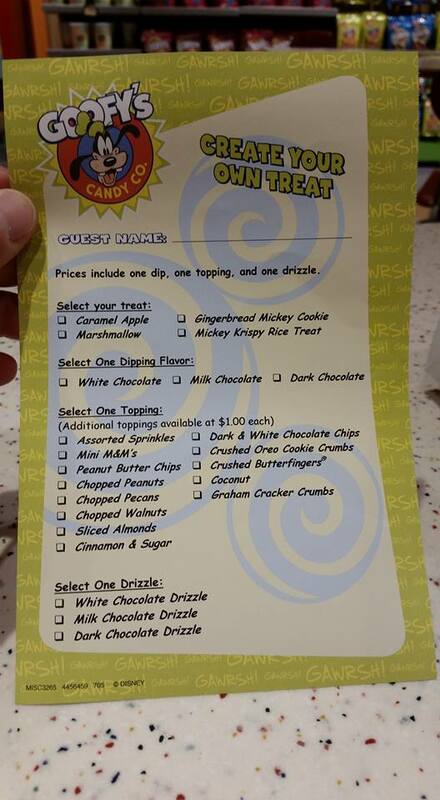 Check out Goofy’s Candy Company and you can not only choose your own treat, but you can also watch them make it! So where can you find these delicious treats being made and created??? For this fun and yummy experience, head to Goofy’s Candy Company, located in the marketplace area of Downtown Disney! This video is not of them making a personalized treat, but is still super cool! I recorded this on my trip in January 2015. Interested in planning your own unique Disney experiences? Why not let a travel professional help you plan your trip?! Contact Ashley @Charmingtravelsllc.com today for your free quote! Her planning services are free of charge!